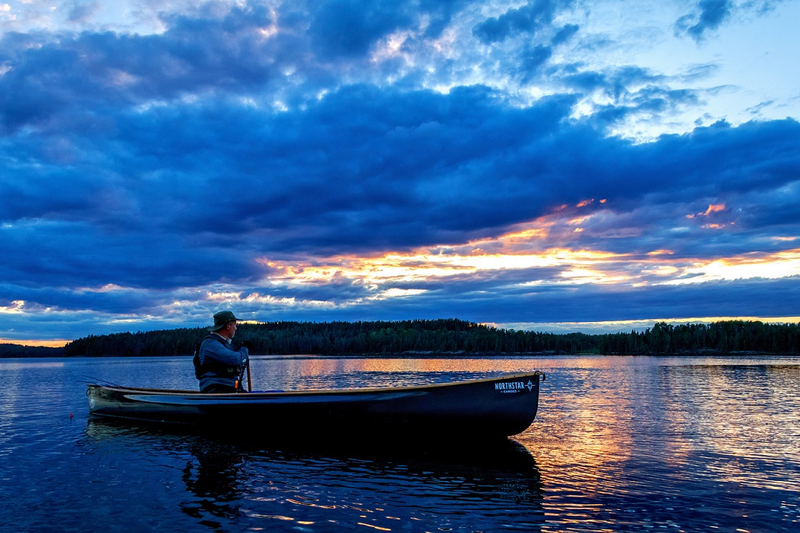 The Polaris quickly accelerates and offers a lively paddling experience. Skilled paddlers raved about the performance of its predecessor and we named our company after it. Please be aware we hold limited stock as these boats are built to order, to ensure you have a custom specification to meet your exact needs. Please get in touch to discuss your requirements and check lead times. Oiled white ash gunwales; sculpted and laminated black walnut and ash end decks; walnut and ash laminated contoured web seats hung on walnut trusses; walnut and ash laminated thwarts and yoke; stem mounted tie down loops. Laminated black walnut and ash creates a distinctive and refined canoe that is stronger and lighter.